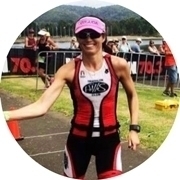 Women at Hills Tri Club make up 38% of our membership base. However they sure love to race, as women make up 45% of athlets racing at our tri series! Women get their own waves to start in at all our events so you dont have to line up along side the blokes. Each race we rotate who goes first – the men or the women. How long have you been a Hill Tri Club Member? What drew you to triathlon as a sport? The challenge to race your best race. The variety in the training. The fun, supportive, energetic people involved in the sport. Still Club Champs, nothing better than the atmosphere of being part of a team. Tell us your triathlon highlight so far? Qualifying for The Australian team for World Champs this year. I set a goal 2 years ago when they announced that Worlds was going to be in Australia. Working towards and achieving that has been a huge achievement for me. What are the benefits of joining Hills Tri Club of you personally? I love the social side of the Club (no surprise there for anyone who knows me). It’s such a fun group of people and I have made so many good friends through the club. I love traveling to races with others from the club and making it into an adventure that is so much more than just the race. What is your tri goal this year? Any tips or advice for women thinking about getting into the sport? If you want to do a Triathlon go for it! The sense of satisfaction to do something just for you is awesome. There are people of all different shapes, sizes and speeds and everyone is just trying to complete their best race. I guarantee that there will be someone else there just as nervous as you. Over 7yrs now… in fact only the other day my first ever race came up at the regatta. Can’t believe it’s been 7yrs already. I was on a weight loss TV show and successfully lost over 13kg’s in 8wks. After the show I searched for my next goal and why better than to conquer one of my biggest fears – the ocean. One weekend I was cleaning the house where I had the TV on in the background and busselton half Ironman came on. The resilience and strength of the athletes astounded me and left me in tears by the end of the broadcast. So many amazing stories, happy and sad, but every single person who competed simply wanted the best they could be. I was simply inspired – and of course involving the ocean, thought it was exactly what I needed. The next day I registered for the following years busselton half, and set myself on a mission. I’ve never turned back since. I never take racing for granted and treasure every moment I spend on that race course. Would have to be winning silver in the Adelaide Duathlon World Champs. I shocked myself achieving such an honor – especially in my own country. Such an emotional time standing on that podium especially given how far I had come and how hard I trained – it all paid off (although I never thought In my wildest dreams that I would get a medal). There’s no doubt the family dynamic of Hills Tri Club Is what keeps me going back for more. Everyone embraces and respects each other no matter what your ambitions are. Yeah you might be able to get that feel in any Tri Club but I know Hills is my home and always will be… no matter where I live. What is your tri goal this year? I’ve come back after a 2yr hiatus (concentrating on professional cycling) with one goal in mind – Gold Coast world champs! I am so excited to represent my country again, in my own country. Podium certainly is the goal – the slow ramp up started in December last year, however as long as i cross that finish line with absolutely nothing more to give, then i will be super happy with that. You don’t have to be competitive to participate in triathlons. Give it a go, have a great time and enjoy the family spirit that this amazing sport offers. There truly is nothing like it. How long have you been a Hills Tri Club member? My dad started competing when I was in year 3 and after racing for fun ever once in a while until the end of year 7 I decided to commit seriously to the sport after having enjoyed racing and seeing how fast some of the other juniors were. What is your favourite race event? I love racing sprint distances at Kurnell and Big Husky + the Aus Day aquathon. Your triathlon highlight so far? An unexpected win at NSW All Schools last year. What are the benefits of joining Hills Tri Club to you personally? I love having an opportunity to race with some of my best friends in such a relaxed, yet organised and professionally run environment. It’s always a great race atmosphere providing fantastic racing opportunities throughout the season. What is your Tri Goal for this year? As I’ve decided after the end of this season for me in a few more weeks it’ll be time to focus on my HSC. 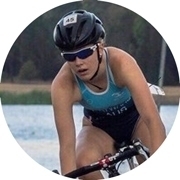 As I raced around the country following some of the Australian Junior Triathlon Series and at All School Nationals last year, this is a year to focus more on school and find a healthy balance with training. What are your Tips or advice for women thinking about getting into the sport? 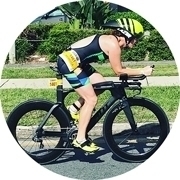 Triathlon is a sport which has opportunities for all abilities and is the type of sport that you can do at any stage of life and is 100% worth giving a shot. You don’t have to be fantastic at all 3 disciplines to be good and enjoy it, the challenge of the sport is half the fun. How long have you been a Hills Member for ? I have been a member of the Hills Triathlon Club for 4 years and l hope to be a member for the rest of my life! For as long as l can remember l have always admired people competing in triathlons. I just love the look of triathlete’s bodies and appreciate the hard work that goes into racing in any event. What’s been your favourite event? My favourite race is the enduro format. It’s so much fun diving back into the water after the run and doing the race all again. I highly recommend this event to everyone for some fun. Whats been your triathlon highlight so far? My triathlon highlight would be winning the A Grade Division for 2016/2017 Season. I feel honoured and lucky to have such a strong and consistent season to achieve this award. Whats the benefit of being a Hills Tri Club member to you personally? The benefits of joining the Hills Triathlon Club personally enables me to meet like minded people so have made many friends through the club, along with the great opportunity of racing over the summer months in a safe and organised environment. What are your Triathlon goals? I am working hard towards next summer and l would like to have a strong duathlon race leading into 2018/2019 season. I would love to match my achievements of 2016/17. 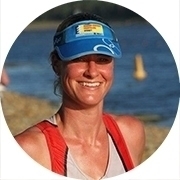 What advice can you give women thinking of getting into triathlon? My tips to any woman wanting to get into triathlon’s is simply give it a go! You don’t need any fancy gear, just the willingness to have a go. You may surprise yourself and enjoy the benefits of meeting new friends and keeping fit.